Raw onion rings on a cutting board. Caramelized onions can be used in a variety of different dishes, including risotto, pasta and meat recipes, and are commonly accompaniments to hot sandwiches and burgers. While onions are usually caramelized on the stovetop in a sauté pan, the microwave method is faster if you are in a hurry, as long as you are careful not to burn the onions. For the best results, use fresh, crisp onions and high-quality unsalted butter. Peel the skin from the onion by making a small vertical slice on one side. Remove the skin and the very first layer of the onion. Slice the onion into 1/4-inch-thick rounds with a sharp knife. Arrange the onion slices on the bottom of a baking dish large enough to hold all of the slices without overlapping. Melt 1/4 cup unsalted butter in a small saucepan or in the microwave in a heatproof measuring cup and pour it over the top of the onions. Toss the onion slices in the butter with tongs. Cover the baking dish with plastic wrap and poke two holes in the center of the plastic wrap with the tines of a fork. Set the dish into the microwave and heat the onions on high heat for 10 minutes. Remove the onions from the microwave and carefully uncover the baking dish. Stir the onions and return them to the microwave. Cook the onions uncovered for an additional five minutes. Return the onions to the microwave and cook them in one-minute increments, checking after each minute, until they are cooked to your liking. Allow the onions to cool for two to three minutes before serving them. You can add any fresh or dried herbs or spices to the onions along with the butter right before the initial ten minutes. 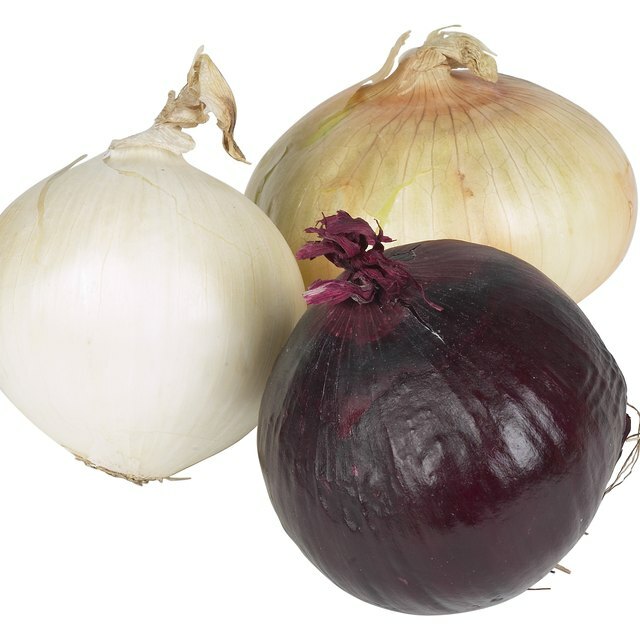 For less-flavored onions, add the herbs or spices when you uncover the onions before reheating them for additional time.